MATI providing students with scholarships to attend the conference. These are non-volunteers. Saturday, September 29, 2017 • 8:00 a.m. – 6:00 p.m. 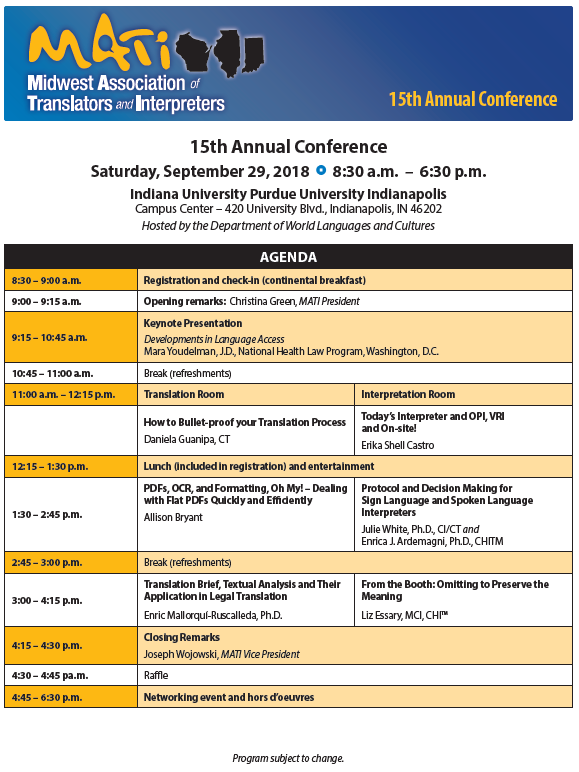 Check out the conference's events below! Building Code on Map is XB. Vermont is a one-way street off of University Blvd, so you must turn onto Barnhill Drive and then West on Vermont Street. Entrance to the Campus Center may be directly through the garage or by walking on Vermont Street to the main entrance of the Campus Center. Want to learn more about the keynote speaker? Click here!